We spent last week with Mike Hubbard, master basket maker, in Cornwall, learning from his vast experience, patience and good humour. 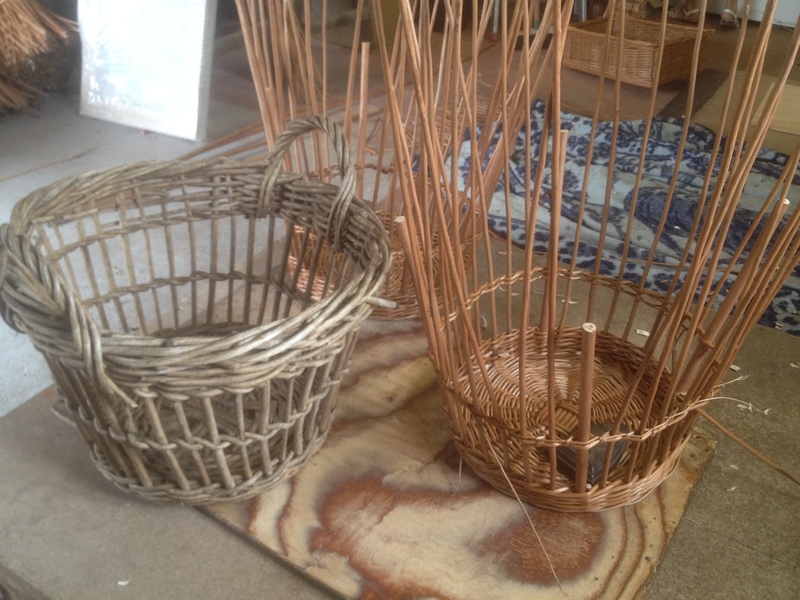 We went with the aim of recreating the cran basket; used in the herring fishing industry in Great Yarmouth. Doing this work revealed lots about the cran itself; the original we took with us was made of cane, not willow, so there were distinct differences in their making. Not least of which is that cane is much longer and the same diameter all along its length so there are fewer joins than in a willow basket. 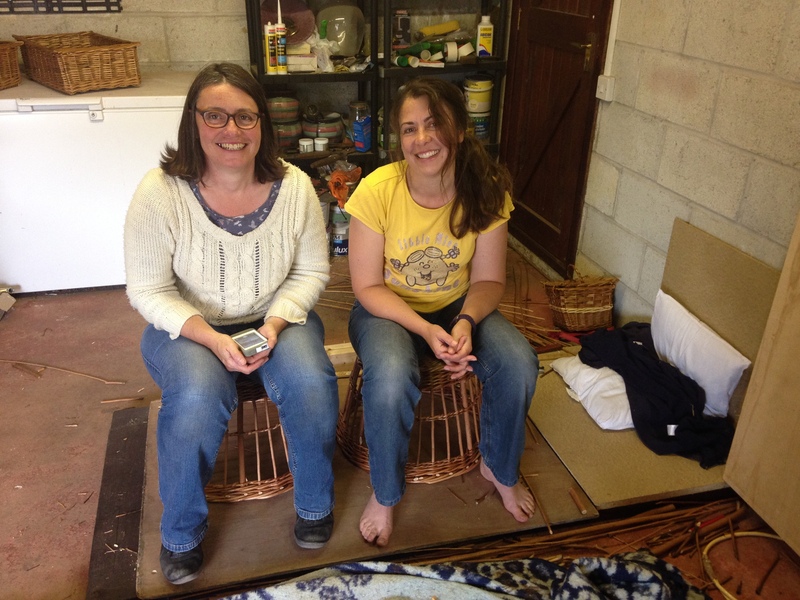 We also took a swill basket with us and had a really useful discussion about how we will go about making one of those. 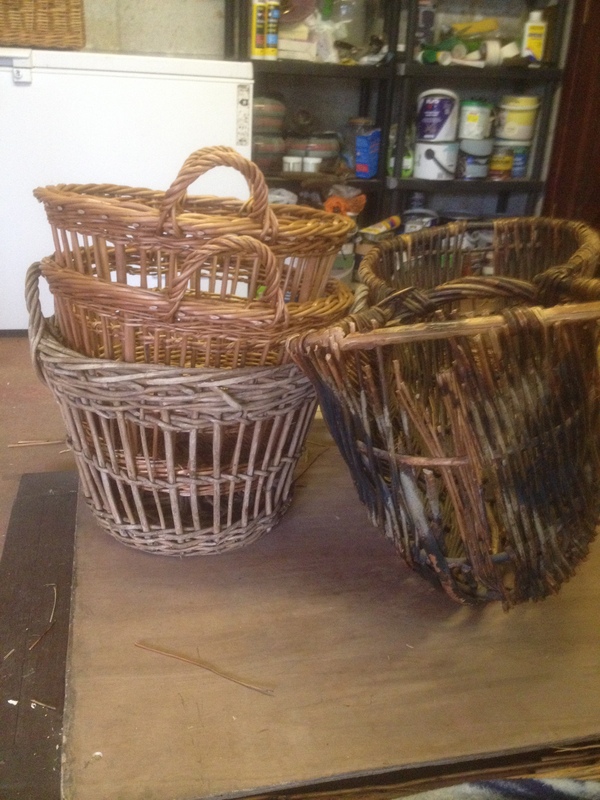 The skills you’ve developed are great – you will be Norfolk’s best basketers!